Justice Chandrachud observed that the documents submitted by the ASG contained names of prominent universities and social science institutes, and wondered whether all of them were involved in the case. Session 2 of the Bhima-Koregaon hearing witnessed dramatic scenes with the Supreme Court bench asking ASG Thushar Mehta, counsel for State of Maharashtra, to show the best document against the arrested activists. The Court made it clear that will examine the issue with a "hawk's eye". 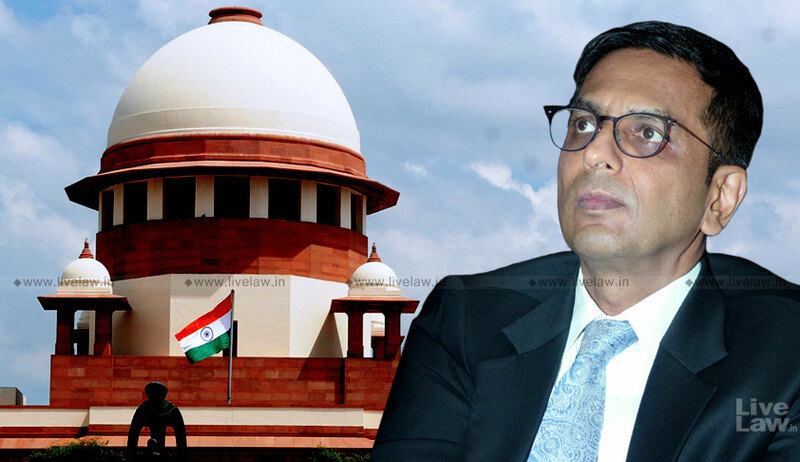 "Liberty cannot be sacrificed at the altar of conjectures", Justice Chandrachud stated during the course of hearing. In his turn, ASG Tushar Mehta, appearing on behalf of the state of Maharashtra, endeavoured to show that the investigation carried out in connection with the Bhima-Koregaon violence is in compliance with the Cr. P. C. and the evidentiary material retrieved justifies the arrests. Leading the bench through the chain of events, he submitted, “the function in question was held on December 31, 2017 and January 1. “You carried two clerks of the Pune Municipal Corporation to act as ‘Panchas’?”, asked Justice D. Y. Chandrachud with raised eyebrows. “The ‘Panch’ witnesses tend to turn hostile...but these are responsible government servants...they have not been the ‘Panchas’ elsewhere”, asserted the ASG. He urged the bench to bear in mind that all individuals concerned here have been found to be working and active members of a “terrorist organisation” called the Communist Party of India [Maoist], which was banned vide a government notification of June, 2009. “please do not form even a tentative picture before I have shown all the materials”, he requested of the bench. “The mind is only human”, quipped Justice Chandrachud, proceeding to ensure the ASG that the bench shall form an opinion only after considering the holistic submissions. In the morning, it was the petitioners’ contention that the letters that have recently surfaced in public domain as allegedly exchanged between one ‘Comrade Prakash’ and the five accused activists, mentioning a “Rajiv Gandhi kind” plot to assassinate the present Prime Minister, are fabricated as ‘Comrade Prakash’ is no other than Delhi University Professor and Maoist activist G. N. Saibaba who has been in jail since March, 2017. Countering the same, the ASG indicated the judgment convicting Saibaba which records a fact that after the trial, Saibaba had changed his name from ‘Prakash’ to ‘Chetan’. He relied on another document recovered contemporaneously, which, in entailing the duties of different members, averred that “duties of a person named Chetan relate to Saibaba”. He also drew the attention of the bench to a piece of evidence recovered from Wilson’s laptop which shows Saibaba stating, “From now on, my name is Chetan as the earlier name has been exposed”. As the ASG walked the court through the evidence, he pointed out that there has also been reference to a former Prime Minister and a Home Minister. “Manmohan Singh and P. Chidambaram have been spoken about in a very wrong manner”, he said. Indicating an institute named in the material, Justice Chandrachud inquired if it was the ASG’s claim that it was also involved in similar activities. Continuing with his arguments, the ASG advanced that though the first round of arrests was made on June 6, none of the accused except Gadling and Shoma Sen have even applied for bail. “They know what was recovered from them”, he commented. As the bench arose for the day, he prayed that the judges not peruse the materials without his assistance as their relevance has to appreciated in a specific context. “Liberty cannot be sacrificed at the altar of conjectures...this case has to be be examined with a hawk’s eye”, the judge had affirmed. “There is a contrarian point of view. these movements have now become seamless and crossing the line of exhortation before being involved in them is very different from after...if an eloquent liberal says, ‘Burn this constitution because this constitution has lead to an unjust society’, it is not seditious. But if someone who is a member of a terrorist organisation and who has raised eye-brows by a movement launched by them says that the constitution be burnt on the streets, it is not the same thing”, suggested Senior Advocate Harish Salve.